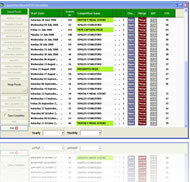 Clubnet's Golf Management System (GMS) was developed to take care of all details associated with the everyday running of a golf club, both small or large. 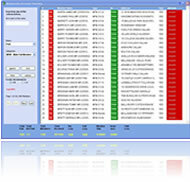 The Golf Management System will reduce the time and effort required in order to run an efficient club. We have supplied many system's to Golf Clubs around Ireland. The software itself has been developed over several years from the input of people that work in our golf industry, from Club Treasurers and Secretaries, Handicap and Competition Managers, Bar, restaurant and Proshop Managers and Golf Course Designers. Clubnet offer an advanced online teetime booking facility. 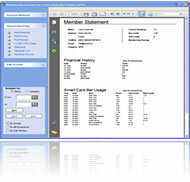 If you have acquired clubnet's Epos this application can be embedded into your website. When a user makes a booking the teetime will be updated LIVE and made viewable on the Epos calendar for you to see. This application allows your members to effortlessly reserve teetime's and competition times. The rules are dynamic meaning you can block certain dates from being booked, only allow green fees to book a specific time and set whether you would like time slots to allow two balls, three balls and so on. The application also acts as a live time sheet. Once the user has selected the date, they can see how is booked in for certain time slots and how many spaces are available on that slot.